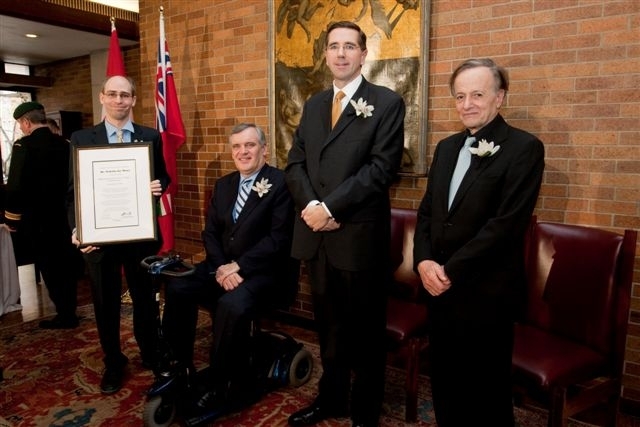 Five Ontario university researchers will be awarded the 2009 Polanyi Prize, recognizing their outstanding contributions in the areas of chemistry, physiology/medicine, literature, physics and economics. 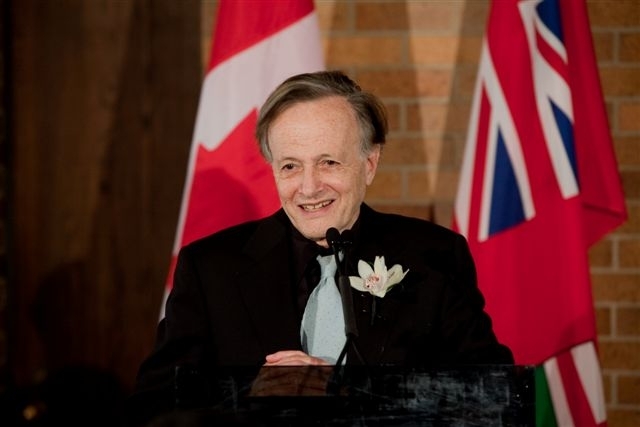 The Polanyi Prizes were established in 1987 by the Ontario government to honour the achievements of John Charles Polanyi, recipient of the 1986 Nobel Prize in chemistry. 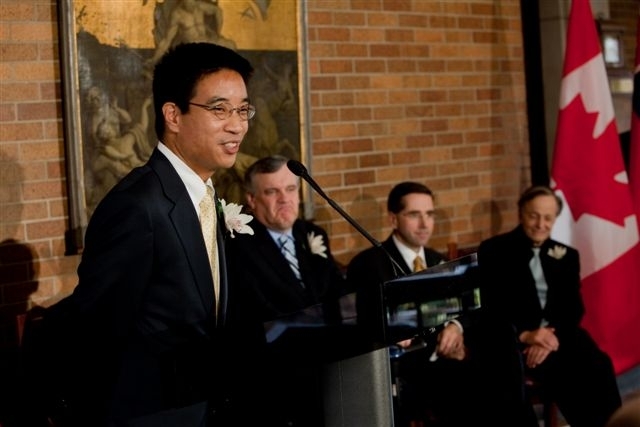 Five prizes are awarded annually to outstanding young researchers in the early stages of their careers at Ontario universities. 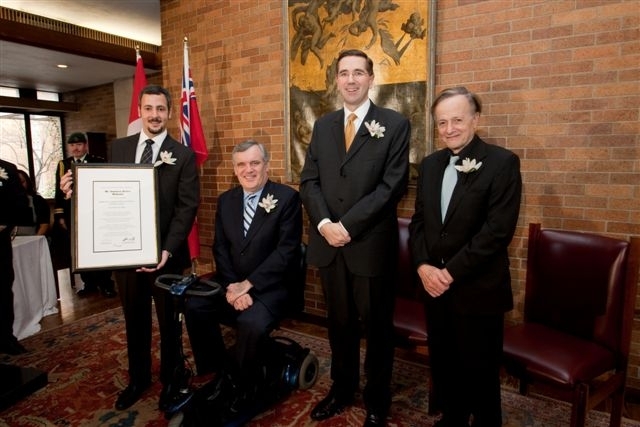 They will be honoured in Toronto at a ceremony at Massey College on Monday, November 23, 2009. 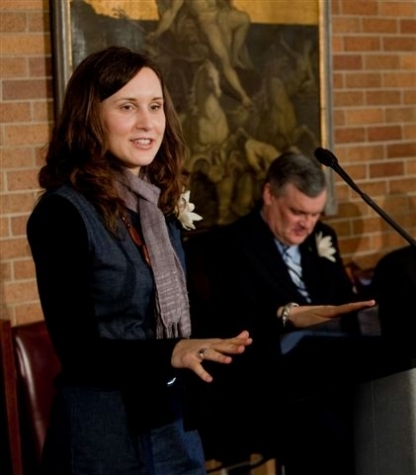 The Ontario Council on Graduate Studies, an affiliate of the Council of Ontario Universities, establishes a panel on behalf of the government to solicit nominations and select the award winners from a rich collection of nominees. This document was published on November 20, 2009 and is provided for archival and research purposes. 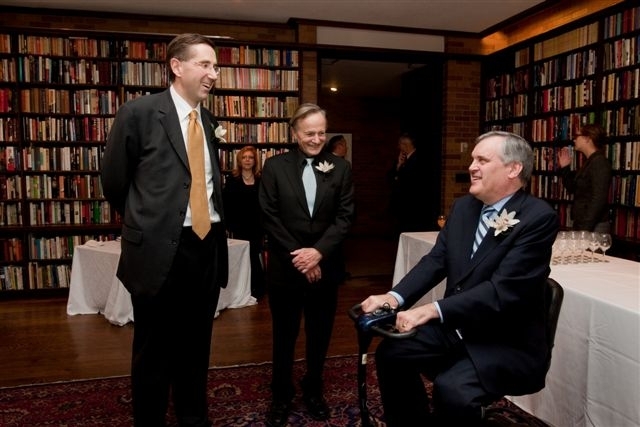 2009 Polanyi award winners with Dr. John Charles Polanyi, the Honourable David C. Onley and Minister John Milloy in the Upper Library at Massey College. 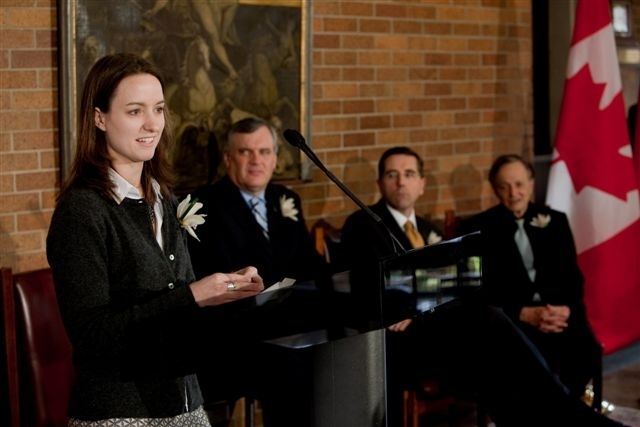 Dr. John Charles Polanyi speaks at the 2009 Polanyi Prize ceremony.